This page offers a list of Frequently Asked Questions (FAQs) and answers, regarding the “Mobile Deposit” feature on the Northwestern Bank Mobile App. 1. Download the NWB Mobile App. Click here to download the right version of the NWB Mobile App for your device. 3. Open your NWB Mobile App. 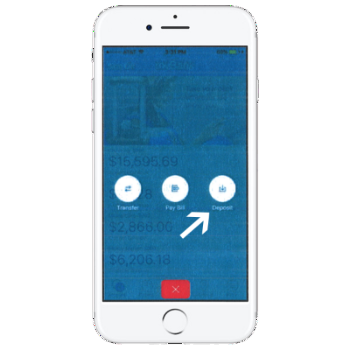 On the home screen of the App, tap the blue action button (+) and choose “Deposit”. 4. Photograph your check. 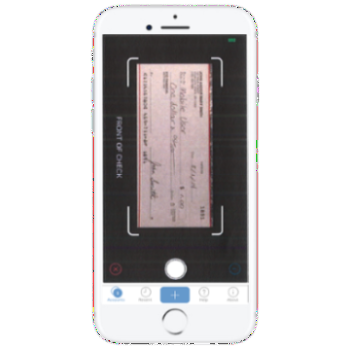 Take a clear picture of both sides (front and back) of your check. 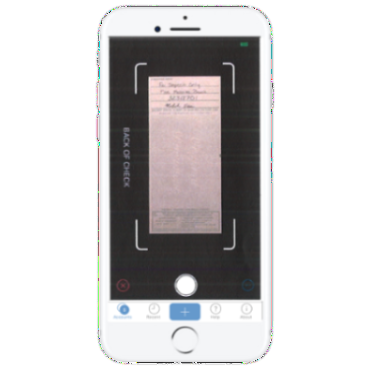 After pressing “Front” or “Back” option on the deposit screen, place the check within the available white corner boundaries on the screen, and snap the photo by clicking on the white, circular camera shutter button. After you capture the image, either approve (green check circle) and move on, or reject (red arrow) and try again. Once you have both the front and back photographed, press "Continue" in the upper right corner of the screen. NOTE: Be sure to place your check on a flat surface with a dark background and good lighting. 5. Choose your amount and account. 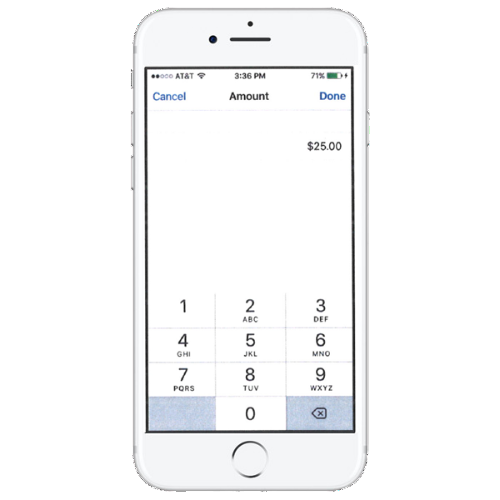 Enter the amount of the check, including exact dollars and cents (e.g., $25.00). Next, select the account to which you’d like to deposit your money, from an eligible list of accounts connected to your login. 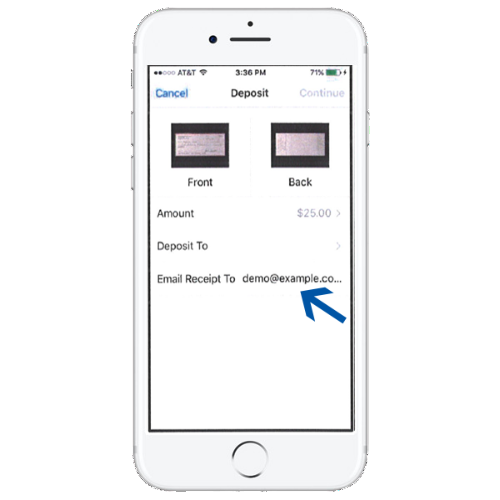 Finally, enter your email to receive a receipt and click “Continue” in the upper, right-hand corner of the App. 6. Review your information. Press “Approve” if the information looks accurate on the ensuing message. 7. Get confirmation. You should receive a message confirming that your deposit was successfully scheduled. We’ll send you a verification email to confirm your check has processed. An eligible checking or savings account with NWB (most accounts are automatically eligible). The NWB Mobile App downloaded to your mobile device. A mobile device equipped with an auto-focus camera (or the check deposit menu will not function). Some account restrictions apply. Please contact us if you have questions regarding account eligibility. The account i want to use for my deposit is not listed in the options. what do i do? 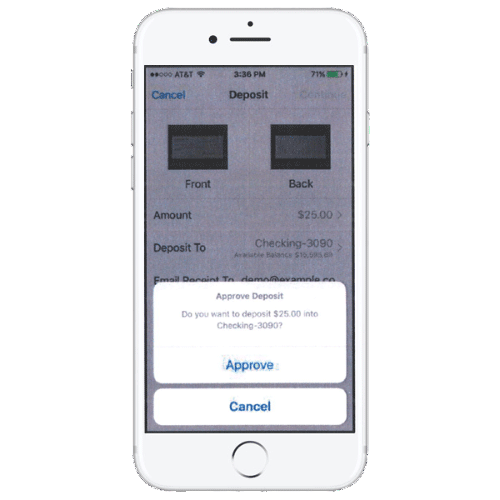 In most cases, eligible accounts will automatically be signed up for Mobile Deposit. If the account you wish to use for the deposit does not appear on the list, it may not be eligible to receive mobile deposits. Contact us to speak to an NWB customer service representative and determine the issue. Are there any limits on the dollar amount and number of deposits I can submit? 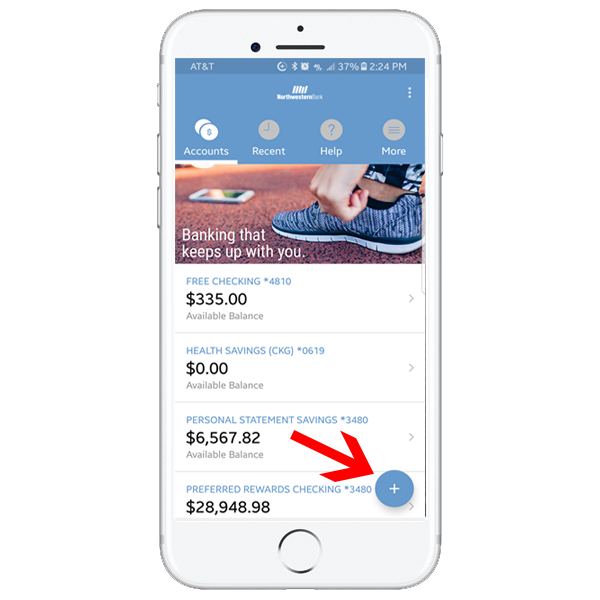 The NWB Mobile App will not allow you to make a deposit greater than $2,500. The daily limit is also $2,500 or 10 deposits per depositor (not account). This limit is based on approvals, not submissions. There is also a multi-day limit of $5,000 or 200 deposits per depositors, over a period of 20 business days. No, you may only photograph one check per deposit. How will I know if NWB received and processed my deposit? Once your deposit is received, you will receive a second e-mail notification regarding the status of your deposit. 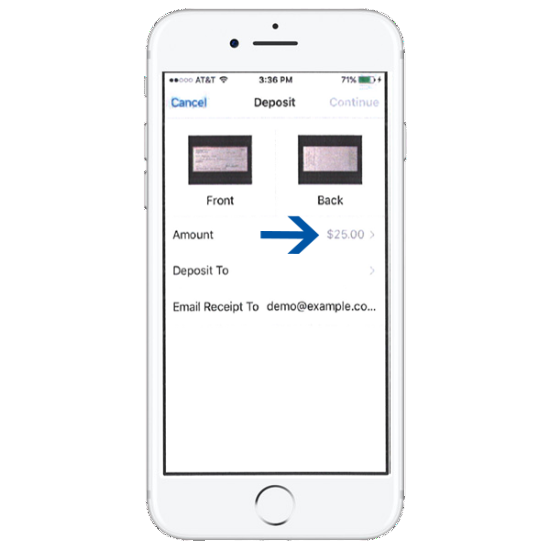 This e-mail will indicate if the deposit was approved or declined for processing. If declined, a reason will be provided. 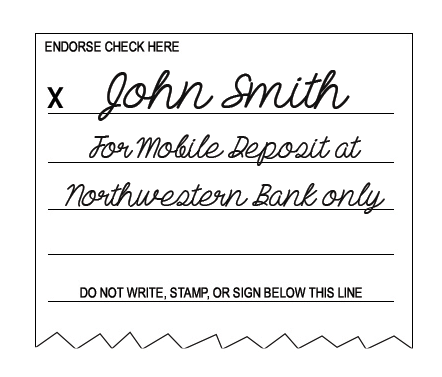 If there is any problem with the verification of your deposit, you will receive an email from Northwestern Bank. Deposits can be made with Mobile Deposit at any time, however check deposits are subject to verification and not available for immediate withdrawal. Any deposit received after 3 p.m. from Monday through Friday will be processed the next business day (excluding holidays) — unless a hold is applied. If a deposit is held (or a hold is applied), funds are posted to your account but not immediately available for debits or withdrawals. You have the option to retake photographs of the check before submitting or you may cancel the deposit. Be sure to place your check on a flat surface with a dark background and good lighting. If you are unable to photograph a clear image, please mail or deposit the check at your nearest Northwestern Bank location. 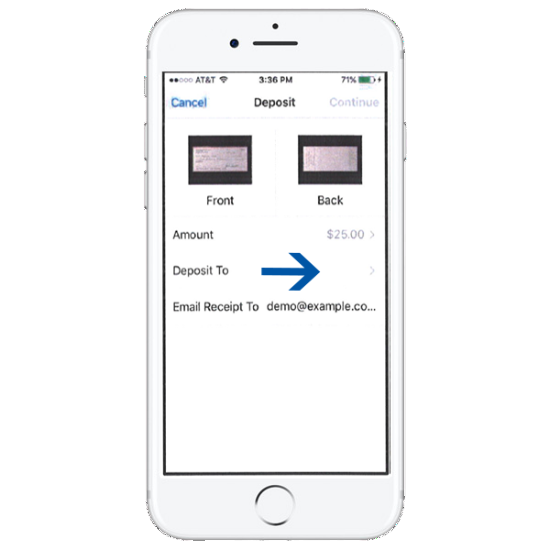 Keep the check until you receive the email confirmation that your deposit has been approved, and you can verify the deposit to your account. Once you receive the email confirmation and verify the deposit to your account, you should destroy and dispose of the physical check. You do not need to resubmit your deposit. If your deposit needs to be resubmitted, you will be notified by Northwestern Bank. If the same deposit is submitted twice, it will be identified and stopped by our processing. Should this occur, you will receive a declined deposit notification for the second deposit. 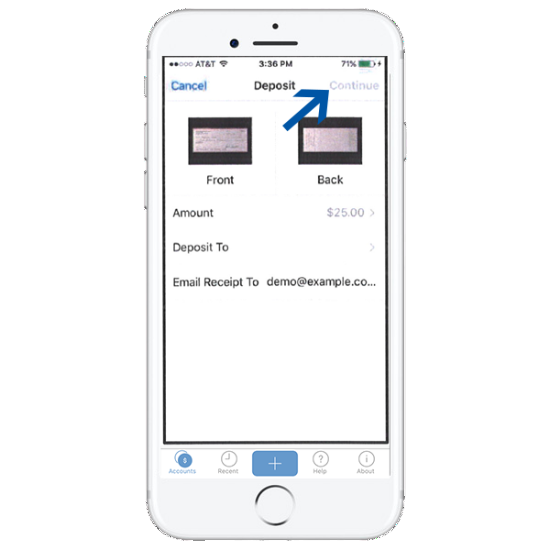 If a deposit is returned, please do not re-deposit the check with the Mobile Deposit functionality. You will receive written communication from the bank through the US Postal Service if a deposit is returned. Can I Check My Mobile Deposit history? Yes. To access, select the “Recent” option on the bottom NWB Mobile App menu. Here, you can access a chronological list of all your historical transactions. 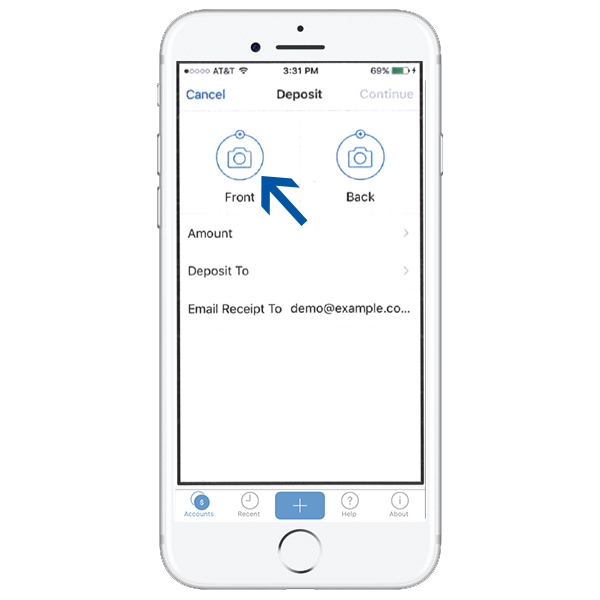 Selecting an individual deposit will provide even further details including dates, amounts, processing status and check images. 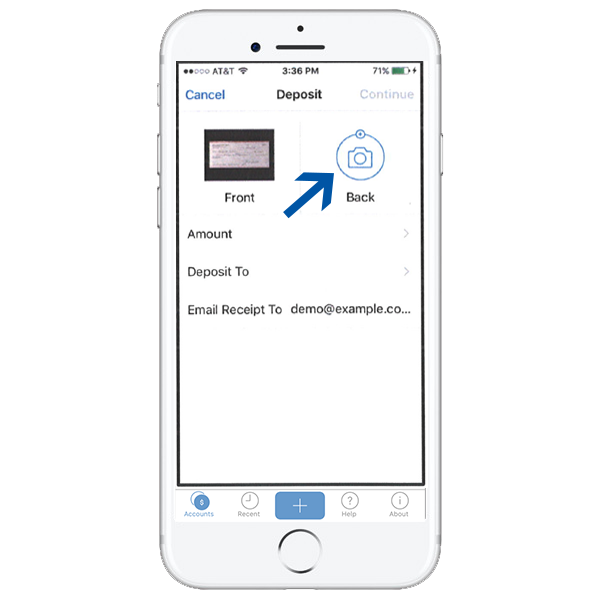 There are no fees for NWB customers to use the NWB Mobile App or Mobile Deposits. 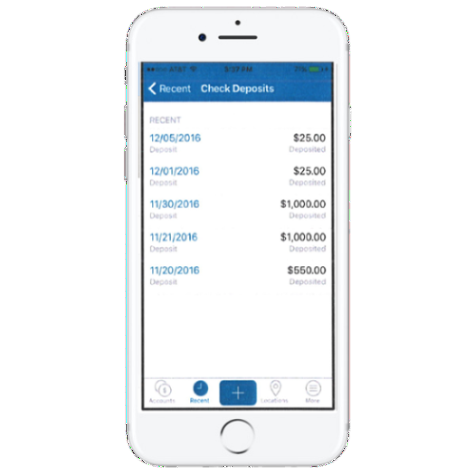 However, some NWB accounts may incur general fees that are unrelated to the Mobile App. Also, you may want to check with your wireless provider about carrier and web access charges. For more information, or if you have additional questions, call us at (712) 737-4911 in Orange City or (712) 324-5141 in Sheldon, or contact Northwestern Bank online.